Practice makes perfect, and that’s also true with indoor shooting at a range. But how can you get the most out of your practice and enjoyment at Bristlecone’s indoor shooting range? Try these options. Practice with specific goals in mind. Is it to concentrate on your grip and minimize the recoil of your firearm? Is it to improve your focus on your sights? Or is it to maintain a better posture and body position as you shoot? Whatever your goals are, remember that our staff can help you with useful tips and advice. Focus on getting more comfortable and proficient using your favorite firearms. If you have specific questions on how to improve using your brand or model, we can help you. Mix it up it and add variety. For example, did you know that Bristlecone has a Virtual Training Simulator? We’ve partnered with Ti Outdoors, the leading manufacturer of private range simulation, to bring our customers an unmatched, theater-style interactive experience. Our system can be used for league play, concealed carry classes, hunter education, and even military grade simulation. Come and check it out for yourself. Take a firearms training or safety class at Bristlecone or work with an instructor one-on-one. We offer a variety of courses and content. This includes concealed carry permitting, women’s only classes, introduction to pistol, and family firearms safety, among many others. Go to our Bristlecone Training page to learn more. Book time at Bristlecone with your family, friends, or a group. Indoor shooting can be a terrific way to have fun together and bond. Check out Bristlecone’s Special Events page where you can book a private party or a gathering. 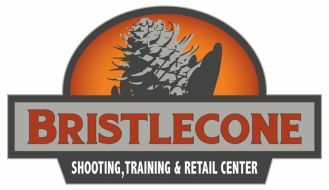 To learn more about Bristlecone Shooting, Training, and Retail Center, including firearms training and self-defense classes, visit https://bristleconeshootingrange.com/ or 303-985-0989.